Arno Geiger’s father was never an easy man to know. Born into a farming family in Austria and conscripted into World War Two as a seventeen-year-old “schoolboy soldier,” he later rarely, if ever, spoke to his family of his childhood, his time as a POW, or the past in general. When he started to change, Arno assumed it was the understandable effects of aging and the breakup of a thirty-year marriage. But it turned out to be more than that. As Arno Geiger writes in this heartbreaking and insightful memoir of his father’s later years, “Alzheimer’s is an illness that, like everything of significance, tells us about a lot more than just itself. Human characteristics and society’s mores are enlarged by the illness as if in a magnifying glass. The world is confusing to all of us, and when you look at it with a clear eye you see that the difference between the healthy and the sick is simply the degree to which they are able to conceal the confusion on the surface. Underneath, chaos roils.” What is immediately clear to Arno is that his father is not going to ask for help. So Arno sets out on a journey into new territory: to get to know his father at long last. Striking up a new friendship with his father, Arno remains at his side, listens to his words that are only seemingly meaningless and often full of wonderful and unexpected poetry, and discovers that outward evidence to the contrary, his father has not in fact lost his wit, charm, and self-assurance. Arno Geiger has written a book that is awash with light, full of life, and often very funny, despite the underlying tragedy. And we begin to understand: whatever happens, a human being remains a human being with all their past, their individuality and dignity. 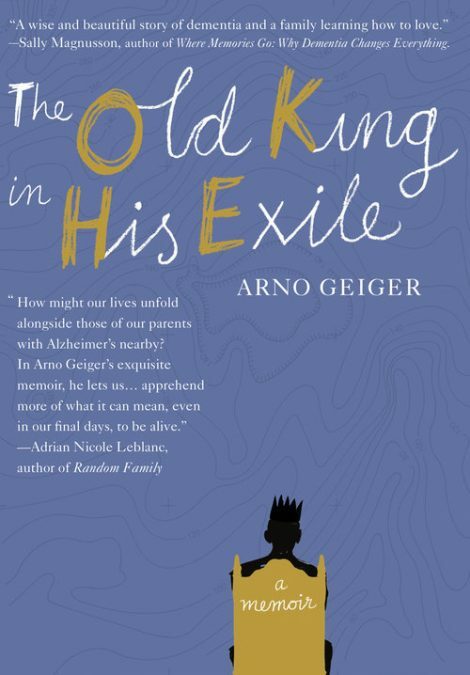 The Old King In His Exile is a wonderfully affecting story that will offer solace and insight to anyone who has dealt with losing an aging loved one. Arno Geiger grew up in the village of Wolfurt near Bregenz, Austria. He studied German studies, ancient history and comparative literature at the Universities of Innsbruck and Vienna. He has worked as a freelance writer since 1993. From 1986 to 2002, he also worked as a technician at the annual Bregenzer Festspiele summer opera festival. 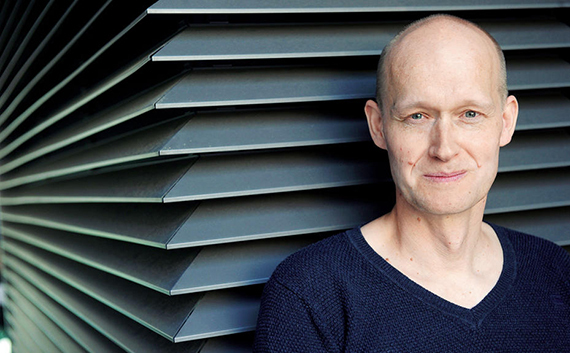 In October 2005, he was the recipient of the first Deutscher Buchpreis literature prize (awarded by the booksellers’ association of Germany) for his novel Es geht uns gut. Geiger lives in Wolfurt and Vienna. Stefan Tobler founded his celebrated publishing house, And Other Stories, out of frustration at the great books not being published in English. With English and Swiss parents, he was born in the Amazon. After his first degree, he moved to Dresden for some years. He later did an MA and PhD at UEA, Norwich. He translates from Portuguese and German. His translations include the 2015 Oxford-Weidenfeld Translation Prize shortlisted Água Viva by Clarice Lispector, A Cup of Rage by Raduan Nassar (Penguin Modern Classics), the poetry collection Silence River by Antônio Moura (Arc) and Rodrigo de Souza Leão’s All Dogs are Blue. He reads French and Spanish too. 1. Alzheimer’s is a common illness but one that we still don’t understand entirely. What did you learn about Alzheimer’s from The Old King in His Exile that you didn’t know before? 2. The author quotes Milan Kundera: “Faced with the unavoidable defeat we call life, the only thing left us is the attempt to understand it.” How does a book like The Old King in His Exile help us understand life’s “defeats” such as losing a loved one? 3. Weaving in quotes like the above, this is a book where illness is in conversation with literature. Are there other stories and illness memoirs that this book reminds you of? How does The Old King in His Exile fit with your other reading on the subjects of family and illness? 4. Perhaps paradoxically, Arno Geiger becomes closer to his father while taking care of him, while his father becomes mentally further away. What do you think of their relationship, and how it changes? 5. How would you compare The Old King in His Exile to other father/son stories? How about comparing it to other illness memoirs? Would you categorize this book as one of the two, or is there another category into which it fits better? 6. Geiger brings up the paradox of treating the person, versus treating the disease. To what extent do you think a disease can, or should, be treated separately from the person carrying it? 7. The memoir was translated from the German by the translator and publisher Stefan Tobler. Did this story feel particularly Austrian, or European to you? How did the setting and themes seem relatable or different to you? 8. Would you recommend this book to others dealing with the pain of losing a loved one? Why or why not?